What's the Price for the 2018 BMW X3? How Many MPG Does the 2018 BMW X3 Get? What's New for the 2018 BMW X3? 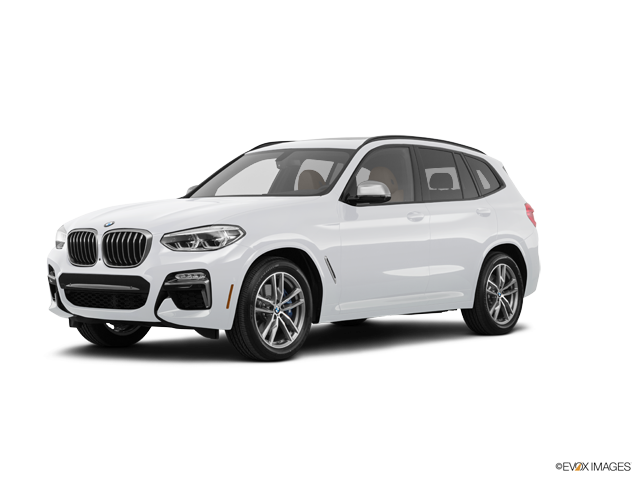 All new, the 2018 BMW X3 wears an Active Kidney Grille, Aero Blades, and BMW Air Curtains. This is just one way it turns modern engineering know-how to its advantage. The BMW TwinPower Turbo creates 248 horsepower using only four cylinders. A low-rev torque rate of 258 lb-ft gives the driver off the line acceleration. Recapturing energy, the system incorporates brake energy regeneration. An eight-speed automatic uses Steptronic Sport technology to control the ride. If you want a V6, the M Performance TwinPower Turbo is the answer. This six-cylinder inline unit delivers 355 horsepower. Like the four-cylinder turbo, it can create maximum torque (369 lb-ft) at a low rev rate. Top speed is 155 mph. The Adaptive M Sport suspension is a high-tech tool to smooth rough roads. A 12.3-inch screen stretches behind the steering wheel in the Executive Tier. This Dynamic Digital Instrument Cluster works with the driver for information and a touch of fun. Available in sDrive or xDrive and with eight inches of ground clearance, this BMW is primed for adventure. Drivers can get three distinctive exterior looks with the xLine, Luxury and M Sport trims. There are five tiers to bring you the interior features you want. This cabin is big enough for your family to ride in comfort. The front seats have 10-way power adjustable settings with a driver-seat memory function. The SensaTec upholstery is matched to a rich Dark Oak Wood trim. Climbing the ladder, you find rich leathers and top amenities. The 12-speaker HiFi system comes with HD Radio and SiriusXM capability. You can enjoy an advanced touch system with a large display and Bluetooth streaming audio choices. The three-zone climate controls help everyone stay cool or get warm. Some of its driver aids include rain-sensing wipers, automatic dimming rearview mirror, and an automatic dimming driver's side mirror. The passenger side mirror tilts down to show driver’s the cub. Increasing its utility, the new cargo capacity is 28 cu.ft. in the hold and 62.7 cu.ft. overall. The 2018 X3 is on tap at BMW of Fairfax. Come sample these original Sport Activity Vehicles and enjoy a hands-on research experience.